I made Truant when I was 13 or 14 and it won a minor prize in the Amateur Cine World annual film competition of 1960. Looking back to the time, it’s possible to see parallels with the fourth act of Truffaut’s Les Quatre Cents Coups (1959), where the motif of the abandoned satchel heralds Antoine Doinel’s (Jean-Paul Leard’s) truancy. And the close-up on Richard’s stricken face at the end of the film matches the final shot of Antoine Doinel’s capture. But I don’t think I had seen Truffaut’s film at that time, so perhaps the resemblances are just something to do with the zeitgeist. In Fifteen, made two years later, Richard is growing up and the world of boyish abandon meets teenage party culture of the early 1960s. He is the leader of a gang of boys who race their bicycles around the suburban streets. They find an abandoned motorcycle in a sloping field and all four ride it down to the bottom of the hill, powered only by gravity and their combined weight. Though it lacks an engine, the motorbike hints at the possibilities of adult life. Finding a party invitation addressed to me (his older brother), Richard goes in my place and tries to pick up a girl, but is rebuffed. Again, the film ends with an image of isolation as he leaves the party alone. I made two alternative endings to Fifteen. The one I didn’t use is presaged by the scene in the film (after the motorcycle run but before the party) when Richard is given a drum kit for his birthday. He is shown playing the drum with skill, and the later party scene contains shots of a guitar band, The Gravediggers, whose drummer is conspicuously drinking. In this optimistic scenario, Richard’s skill saves the day when the drummer becomes incapacitated. He is welcomed into the band and becomes the toast of the party. Although I shot some of the scenes for this scenario, I felt it lacked plausibility and that a darker ending was closer to experience. In the event, Richard leaves the party alone and the final scene shows him walking up an empty road. The only possible Truffaut reference here is the use of a red filter with black-and-white film stock to give the effect of night during daylight shooting (la nuit americaine). Fifteen is both thematically and technically a progression from Truant. The title of the film is taken from Beverly Cleary’s teenage novel, Fifteen, which I have never read, but which I believe also deals with problems of teenage identity and relationship. The film is more than twice as long as Truant, and the technique is more assured. The close-ups of straining faces during the bicycle race still convince within the diegesis, although the participants were not actually moving at the time. The original film was accompanied by a tape-recorded soundtrack, mainly music composed and played by The Gravediggers. This was synchronised to the projector by use of a home-made strobe disc which I designed in accordance with instructions in Amateur Cine World. The projector (a 1940s Specto 9.5 mm machine) had a variable speed control (using a rheostat). I mounted the strobe disc on one of the sprocket spindles and used the speed control to keep the strobe markings apparently still, moving neither to the left or the right. As the speed of the reel to reel tape recorder was relatively well governed, this produced acceptable synchronisation of picture and sound (although, of course, lip-sync was not possible). The audiotapes have been lost, and, in any case, the magnesium oxide coating that holds the audio track would have perished over the last 50 years. But I can still remember the music composed by Andrew Speedy of The Gravediggers, and I shall attempt to recreate it and add sound to the digital version of the films. In the meantime, here are the original silent movies, in digital mode. Terryl Bacon has written to Thangam following her Facebook post explaining her decision to resign from the shadow front bench. Thank you for your open letter explaining why you resigned and the unhappy circumstance in which you found yourself as regards Corbyn. I regret the unnecessary stress you have undergone. I respect the values you espouse and I sincerely hope your treatment will be fully successful. I trust that the poor communications which created your stress were not aimed at you personally but were the result of lack of political nous and the almost inevitable crossed wires which happen far too easily in complex organisations. As a former chair of a large union branch, I understand that, with the best will in the world, mistakes are sometimes made which might feel personal to the recipient. That said, I would like to address some of the comments you made in your letter. Unless one is happy to say, “my party right or wrong” or “my leader right or wrong”, it is important to be critical as you have been. However, when I look at what the Labour Party did Not do during its long term in office which started with a large majority in the Commons: The PLP did Not repeal any of the Thatcherite anti-union legislation. The PLP did Not stop the privatisation of the railways or the selling off of other National assets. Although some good things were done with the NHS and with the schools, during the period to which you referred, the gap between the richest and the poorest in this country grew. Meanwhile, a war was started and continued which brought millions of pounds to Britain’s arms manufacturers and made millions of innocent people suffer terribly to this day. One could characterise the difference between the PLP and the Tories over the last two decades as neo-liberal lite and neo-liberal heavy. This difference has done little to address the real life situation of the most marginalised in our society. Those who blame Corbyn for the disaffection of the working class show a lack of historical understanding. The PLP could have made a huge difference for the good of the people under Blair but instead it largely continued the iniquitous status quo. That is why I have not wanted to be in Labour since Blair. The PLP which you champion continues to be a figleaf for anti-humanist policies. I, and many other people, were appalled when the majority of the PLP members voted last week to spend £30+ billion on Trident instead of on the NHS. And it is instead. I think austerity is largely a myth in service of the elite but clearly there is a finite budget as we live on a finite planet. Until Corbyn’s voice was heard, I had despaired of politics. He is different. He does have an agenda which inspires hundreds of thousands of people; especially the young. Yes, Corbyn lacks social graces and he has been clumsy but he has remained calm and steadfast and, as his popularity shows, for those of us who do not want more of the same, Corbyn is definitely electable! I certainly think he owes you an apology for what you experienced under his leadership and I shall write and tell him. As important as that is, his apology for Labour’s war mongering meant a lot to several million of us. I know that you have been too unwell to attend Parliament and I regret that you were not allowed to do so via email. Surely, that should be changed? But I wonder if you would publish what you would have voted during your time in office had you been able to do so. 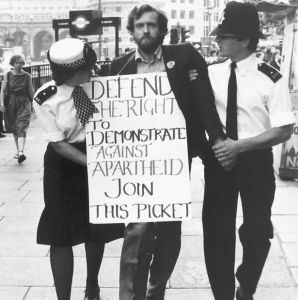 I ask, because I have checked Jeremy Corbyn’s voting record over the years and I agree with him; most especially so when he has Not voted the neo-liberal party line. I am keeping an open mind on the split within the PLP; but I am looking for an honest leader. 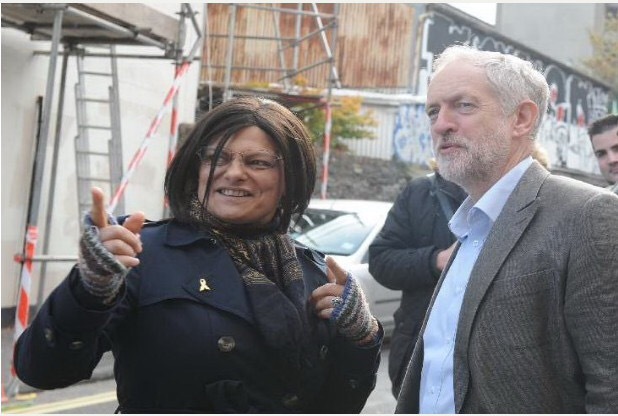 One who respects people’s ability to think for themselves; not a cheer leader for the PLP establishment.